Egyptian youth athletes leave the third African Youth Games this year with impressive results, ranking Egypt first place as they snatched 161 medals overall so far: 86 gold, 45 silver and 32 bronze, according to an official press release by the heads of Egypt’s team. The African Youth Games this year was held in Algeria and went on for 9 days, starting from 19 July and ending on 28 July. First place winners include Sara Gouda, who topped female wrestling for under 43 kilograms, swimmer Sandy Ayman in the 400-meter freestyle competition, Ahmed al-Badhawi in kayaking, and Abdallah Shaaban in Roman Wrestling. 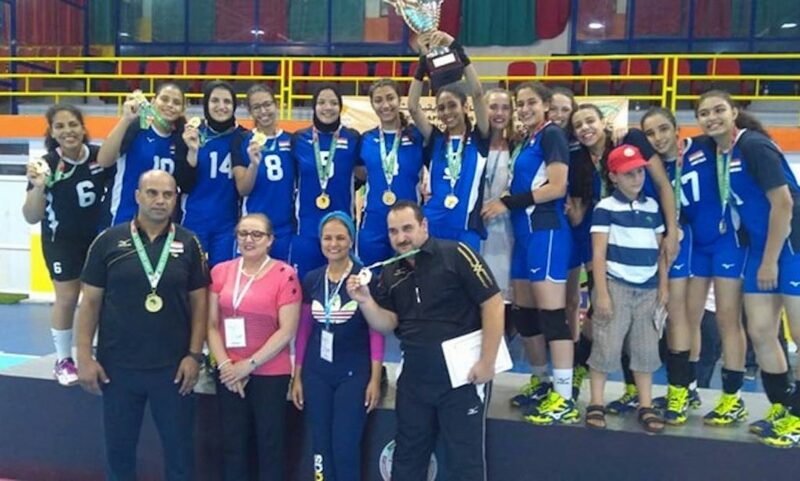 Women’s volleyball team also clinched on a gold medal after defeating Cameroon 3-0, while the men’s volleyball team came second with silver.